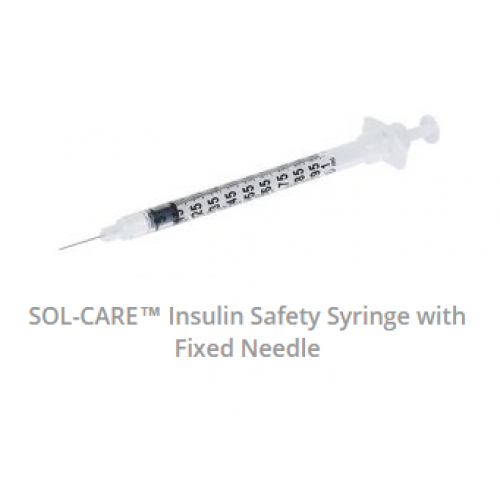 For quality protection, the SOL-CARE Insulin Safety Syringe with Fixed Needle is among the best. 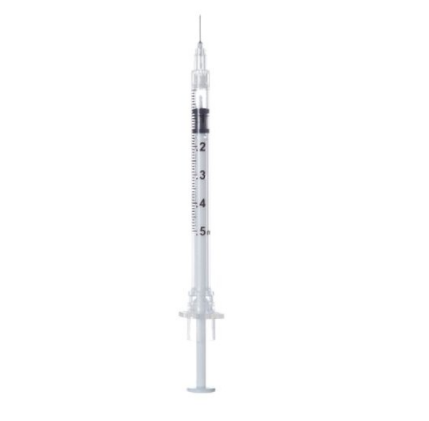 It comes completely sterile and has a retractable needle to prevent unnecessary needle sticks. With a custom Push, Pull, Snap feature, disposal has never been more protected. After use, simply pull the plunger back, which retracts the needle. You are then able to snap off the plunger to ensure the needle stays locked in the syringe, which now acts as a safety casing. 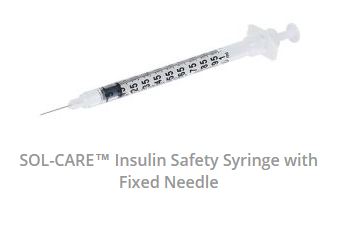 The safety syringe also comes with several features common to most syringes with needles. For example, you can minimize wasting expensive medicines with minimal dead space and precise graduated markings for exact measurement. Choose from a 29 or 30 gauge according to your preference and a more comfortable experience.